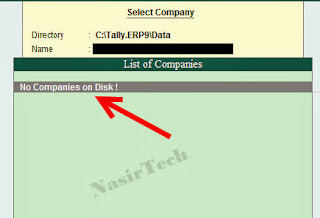 Many users find difficulties to delete all those unnecessary companies from Tally as there is no specific option available in Tally menu to delete company from Tally. 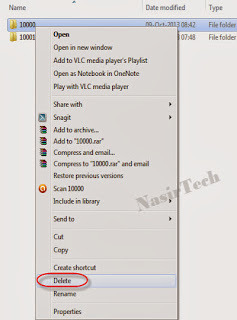 This is true that there is no dedicated menu option to delete Tally company but this is also true that deleting tally company is as easy as deleting other windows files and folders. In this article we are going to share two simple process to remove company from Tally. The tutorial is described in very simple way even a newbie Tally user can follow. More over we have put a video guide on the topic to make it more easy for you. 1) Delete Company Folder (without need to open Tally): As we know that Tally creates a separate folder for every company we create. You’ll find those folders in the Tally Data folder (Tally company folders names are like- 10000, 10001, 10002 and so on). So, the simplest way to delete company from Tally is- go to the location of the company folder and delete the folder as we delete a regular folder. In this process you do not need to open Tally. 2) Delete from Company Alteration Screen (Need to open Tally): Other than deleting the company folder we can also delete tally company by using tally menu option. 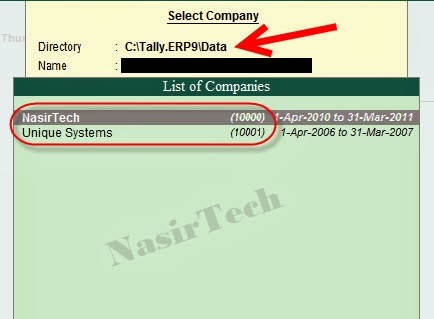 For this you need to open tally first, go to the company alteration screen from Company Info menu and use tally company delete shortcut key (shortcut key available below) to remove company. 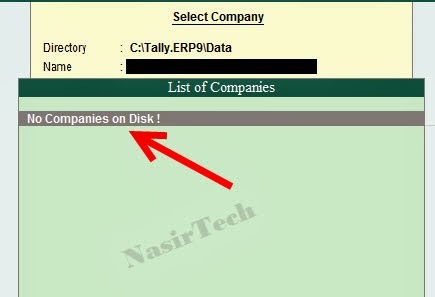 Important Note: If you remove company by deleting the company folder from the tally data directory then you have chance to restore company from Recycle Bin later but if you remove company from tally alteration screen then the company is permanently deleted, so no chance for restore later. For the first process, we’ll open Tally and check how many companies are there and also the Data folder code of the company we want to delete. So, open Tally and go to the Company Info Menu by pressing Alt+F3, choose Select Company. 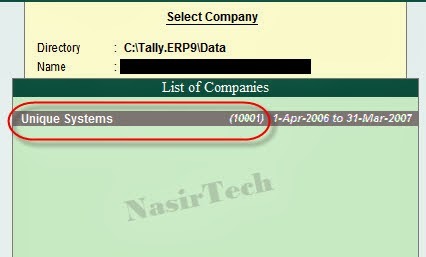 Here you can see in the below image, we have two companies “NasirTech” and “Unique Systems” and the Data folder code of the companies are “10000” and “10001”. Also check the location of the Data folder (C:\Tally.ERP9\Data) which shown in arrow. Now, to delete the first company, Quit Tally and open the Tally Data folder from My Computer- C:\Drive- Tally.ERP9- Data. Delete the “10000” folder (which is for “NasirTech” company). See image below. After deleting the folder, open tally and check whether the company is deleted or not. 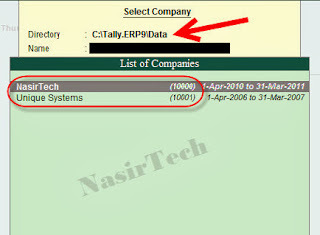 Your Tally company list should show only the second company as you can see in the below image. The first process done. For the second process, first open the second company from Company Info Menu- Select Company. After opening the company, go to the Company Info Menu again and select Alter. Company Alteration screen will appear, press Alt+D here, two confirmation message will come, press Enter for both the cases for Yes. The company will be deleted. Now go to Company Info Menu- Select Company to confirm the action. No company will be there. See Image below. You have done. You can restore the first company from the Recycle Bin but the second company is permanently deleted. 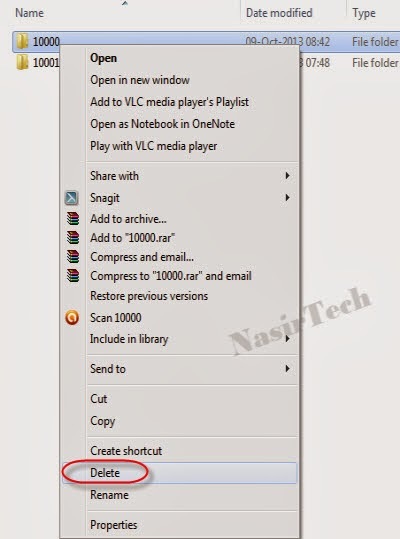 You can check out the below video guide on how to delete company from tally which shows the details steps as describe in the above tutorial. So, that’s all to delete company from tally. Hope you get that answer of all your questions about company deletion process in Tally. If you have any queries, feel free to contact with us using the comment form below, and also let us know how you find the tutorial. Happy learning and keep visit for more.